*New options available for 2019! This year we are offering your company the chance to sponsor both of our obstacle courses and our mud pits. These 3 packages will only be available to 1 company for each course so please contact us prior to sending in your sponsorship. We are offering you the chance to be the exclusive sponsor of our Modified obstacle course. This obstacle course has something for every Jeep enthusiast including rocks, pole bridge, and even a teeter totter. We also hold our Trail Rated Challenge on this course. With this package you will be able to promote your product at our modified obstacle course with signs, flags, gear, Jeeps, and swag of your choosing. Exclusive sponsorship of the modified obstacle course. 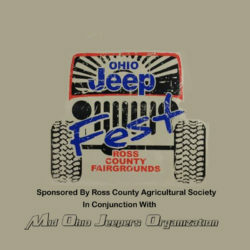 Your company name located under the official Ohio Jeep Fest logo along with Ross County Agricultural Society, Mid Ohio Jeepers Organization, and Herrnstein Automotive Group. Individual company signage at the event. Live announcements by ChillicotheDJ throughout the entire event. Company logo on a loop on the electronic sign at the entrance of the Ohio Jeep Fest. All access pass for both obstacle courses and mud pits. 50 Weekend passes for the Ohio Jeep Fest. 20 official Ohio Jeep Fest t-shirts. 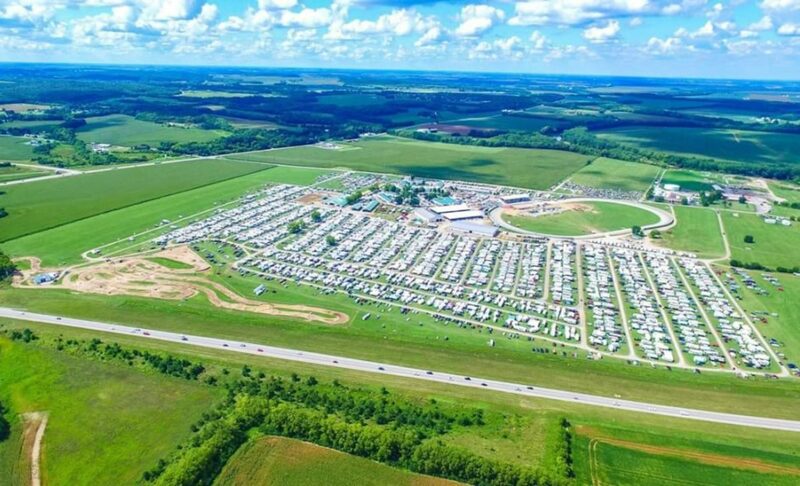 2 campsites with water and electric for the weekend of the event. Our stock course that is provided by Chillitown MX is up for grabs this year. Now your company has the chance to sponsor our most popular obstacle course at the Ohio Jeep Fest. This course has every Jeep enthusiast smiling when they are on it. This is a great course for beginners with a stock Jeep or more experienced Jeepers that just want to get the family out and give them a safe and fun experience. This track is over 1 mile long and gets everyone’s attention when they are at the Ohio Jeep Fest. Exclusive sponsorship of the stock obstacle course. Company name on the back of the official Ohio Jeep Fest t-shirts. 20 Weekend passes for the Ohio Jeep Fest. Our mud pits have a constant line of people just waiting to challenge their Jeeps. We have 2 sides to our mud pits and “mild” mud pit and an “modified” mud pit. We are giving you the opportunity to be the exclusive sponsor of our mud pits. Jeeps line up along the mud pits as well as people filling the bleachers to watch. This will be a focal point of our Jeep Fest and an awesome opportunity to advertise for your company. Exclusive sponsorship of the mild and modified mud pits. Live announcement by ChillicotheDJ throughout the entire event. Company Logo on a lop on the electronic sign at the entrance of the Ohio Jeep Fest. 15 weekend passes for the Ohio Jeep Fest. 10 official Ohio Jeep Fest t-shirts. 1 campsite with water and electric for the weekend of the event. Sponsor logo on a loop on the electric sign at the entrance of the Jeep Fest. All access pass for obstacle courses and mud pits.